﻿ California Auto Accident & Personal Injury Lawyers. Call (310) 424-5252 for a Free Consultation. Get the help you need. You do not have to go at it alone! Serving, all areas of California, including Los Angeles, Orange, San Diego, San Bernardino, and Riverside County, as well as San Francisco and other areas of Southern California and Northern California. Suffering from a personal injury can be trying. Having to deal with doctors, insurance adjustors, and medical bills can often be overwhelming. Law Offices of Daniel Geoulla is dedicated to helping our clients find their way through these trying times. You do not have to go at it alone. Our Experienced California Attorneys and legal staff can help you obtain the maximum recovery available. Our Experienced California Personal Injury Lawyers have knowledge in all areas of law relating to your Personal Injury Claim. We understand what it takes to get you the best recovery possible for your personal injury claim. We don’t shy away from “problem” cases, like other attorneys may. The smallest mistake can mean difference between a small recovery and a large one. While, there are many places in life where one can “go at it alone,” navigating the legal waters is best left to experts. Our Experienced Personal California Injury Lawyers will make sure that you are justly compensated for your personal injury claim. Insurance companies employee armies of investigators, experts, and other professionals to protect their “bottom line.” You need an advocate on your side that is a skilled negotiator, to ensure you get the maximum recovery for your personal injury accident. As a result of your personal injury accident, you may face costly medical bills, potential future medical expenses, lost wages, vocational rehabilitation expenses, and emotional suffering, in addition to other possible injuries. Our experienced California personal Injury lawyers will sort through all your “damages” and make sure that you get the maximum recovery for your personal injury claim. We only get paid if you get paid for your California personal injury claim. Contact our Experienced California Personal Injury Attorneys for more details on our No Recovery No Fee policy. It may be our confidence or our proven track record, but our experienced personal injury attorneys will advance the costs and expenses associated with your lawsuit until there has been a recovery on your California Personal Injury Claim. We are here to help. Our experienced California personal injury lawyers understand that choosing an attorney to fight for your is not easy. We want to make sure that you know your rights and make the right choice. We never charge for a Consultation on your California Personal Injury Claim. The information contained in this website is not intended to create an attorney-client relationship, and such a relationship is not created by using this website. If you send an e-mail to our firm, you agree that sending us an e-mail will not make you a client of our firm. Until we agree to represent you, anything you send us may not be confidential or privileged. The information included in this site is not, nor is it intended to be, legal advice. Any results set forth here were dependent on the facts of that case and the results will differ from case to case. Please consult an attorney directly for legal advice. The information in this website is general in nature; the reader is strongly encouraged to consult with an attorney before relying on any information so that an attorney can thoroughly review the facts applicable to the reader's specific situation. Any reliance on the information contained in this website is taken at the reader's own risk. 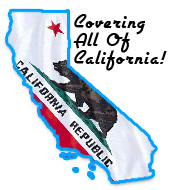 This web site is not intended to solicit clients for matters outside of the State of California. The Law Offices of Daniel D. Geoulla is not responsible for the content of any web site linked to or from this web site.